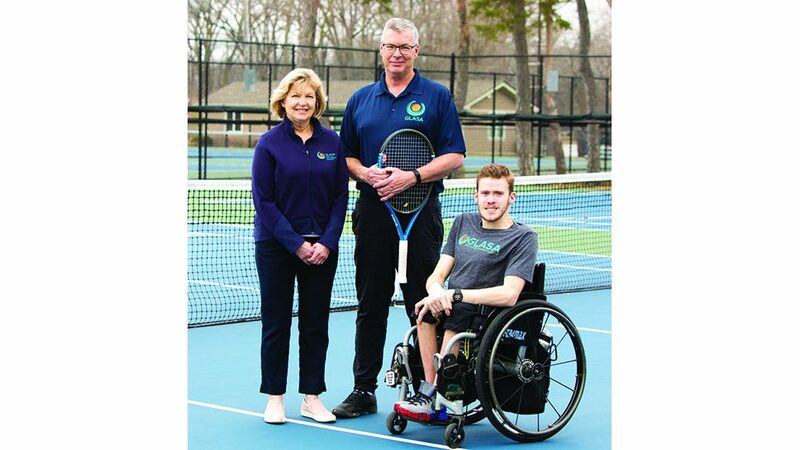 It’s an old proverb that perfectly describes the effort behind Pitch In, the flagship program of the Wood Family Foundation (WFF), founded in 2011 by former Chicago Cubs pitcher Kerry Wood and his wife, Sarah. 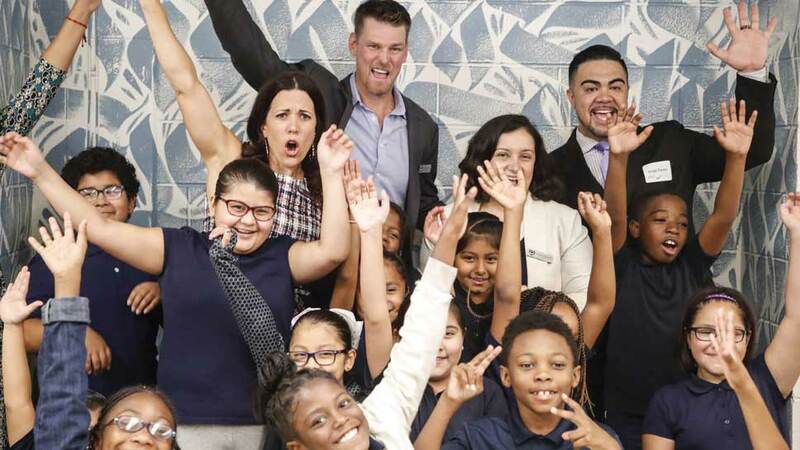 After launching its successful Pitch In middle school mentoring program in 2014 at Lawndale Community Academy in North Lawndale, WFF opened a second location this fall at Yates Elementary School in Humboldt Park. The feat was made possible by small acts of kindness that, together, turned into something big. For the past four years, Pitch In mentors, students and families have used a dedicated resource room located inside Lawndale Academy as their home base. When faced with the prospect of constructing a second resource room in Pitch In’s new location at Yates Elementary in Humboldt Park, Sarah Wood enlisted the help of a North Shore interior decorator, Ash Interiors’ Rosemary Worley, who donated her services to the project. Tasked with renovating a former woodshop classroom into a bright, inviting, home-away-from-home for students, Worley set to work sourcing desks, tables, chairs and soft furnishings to create a flexible multi-function space to suit Pitch In’s programming needs. 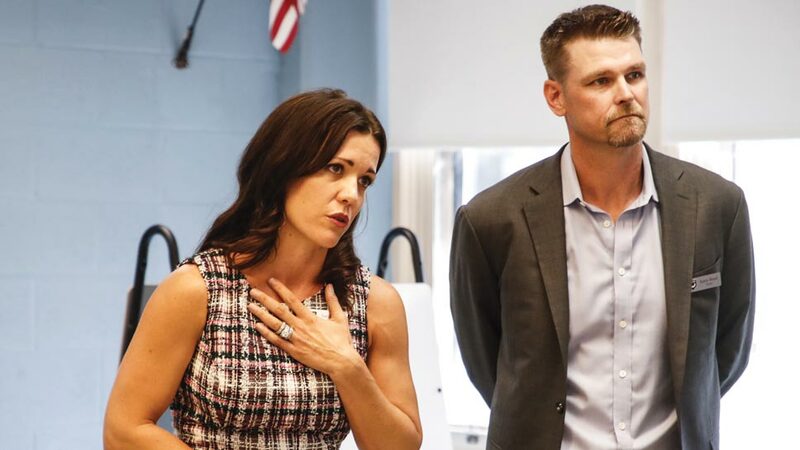 Sarah and Kerry Wood at the ribbon-cutting ceremony at Richard Yates School. The Wood Family Foundation and its flagship program, Pitch In, provided a resource room to the school. 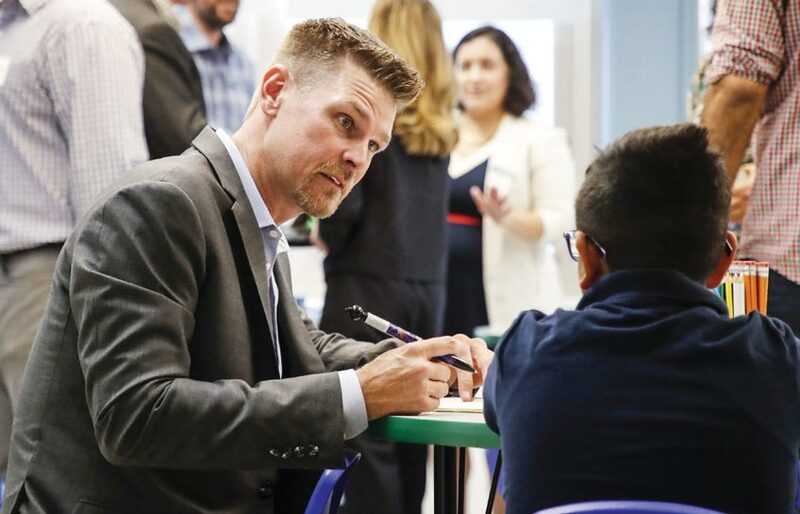 Former Cubs pitcher Kerry Wood signs an autograph for a student at Richard Yates School. Reaching out to her network of painters, plumbers, carpenters and upholsterers, Worley was able to transform the disused, cinder block workshop and an adjacent outdoor space into a vibrant room for middle-schoolers to meet and learn. Worley says from 10-15 companies and tradespeople — including Chalet Nursery in Wilmette and Brook Lawler of The Flower Shop in Glencoe — donated or deeply discounted their products and services to meet Pitch In’s budget. Worley even managed to commission two murals from acclaimed Humboldt Park-based mural artist Antonio Beniquez, who offered his talents at a substantial discount. ‘There wasn’t a single person I asked to help who said no,” Worley notes. To celebrate serving a new class of fourth-graders at Yates, a ribbon-cutting ceremony outside the school’s newly remodeled Pitch In resource room took place on the morning of September 12. The Wood Family Foundation team, its Board of Directors, Yates school administrators and city officials attended the event. Home to a large Puerto Rican community, Chicago’s West Side Humboldt Park neighborhood has seen several of its cash-strapped schools close in recent years. In 2012, three K-8 schools were shut down and rezoned to cut costs. “Pitch In plans to serve the students of Yates by providing exposure to mentors, unique experiences and resources for not only the students in our program but also for the school community as a whole,” Pitch In Executive Director Laura Muriello says. Founded by the Woods in 2014, Pitch In focuses on improving the educational prospects of underserved middle schoolers in inner-city Chicago, providing additional in-school resources and support for both students and their families during the crucial middle grades, as well as help navigating the city’s daunting high school placement process. 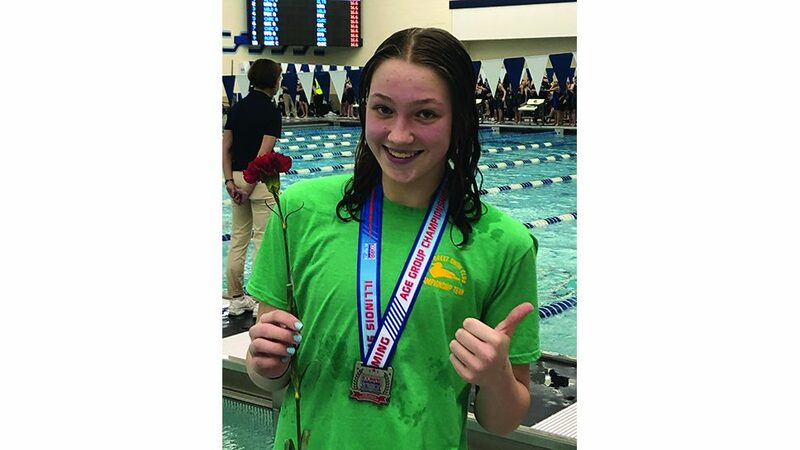 Using a team of volunteer mentors, Pitch In works with students (from fourth- through eighth-graders) regularly after school, using both substantive relationships and exposure to unique experiences to ensure students develop the mindsets necessary to successfully transition to high school. “If these students don’t have an adult at home who can help them with that process, then we can fill that void,” Sarah Wood says. Pitch In also hosts regular end-of-the month dinners for students and their families, inviting parents, siblings, aunts and uncles to share a meal, participate in presentations and discuss the events of the month.